Final post from the board of the RRS James Cook! This morning we arrived in Algoa bay and, now, we are doing a post-cruise calibration of the echosounders. It will be critical to ensure the instruments have been stable over the expedition, so our data are comparable to other people’s work. Tomorrow morning we will enter Port Elizabeth and disembark, which means that today we still have a lot to do; finalizing cleaning, packing, clearing our cabins, etc. This is probably the last blog post I am writing aboard the ship for this expedition and I would like to take this opportunity to thank all the followers and occasional readers of this blog (over 15,000 pageviews since the beginning from a lot of different countries – U.K., Switzerland, United States, Italy, Germany, France, Australia, Sweden, Denmark, Canada and others). It has been wonderful experience for me. Firstly being on board a research vessel again! Even if it was not my first time at sea I think that every research cruise is unique in a way or another. I consider myself extremely lucky to have been allowed to participate in this expedition in the context of my work at IUCN for the Global Marine and Polar Programme (http://www.iucn.org/marine). I have learnt a lot about deep-sea life. I witnessed impressive images of human impacts. I saw beautiful animals and amazing scenes of the bottom of the sea. Secondly, it was the first time I was in charge of a blog. And believe me I have learnt a lot and it has been a very formative exercise. Here, I would like to deeply thank the people on board who have read and corrected my texts and have contributed to the blog. I have a special thought for David Staples who read my blog post every single day. He was generally the first person to whom I dare to show my text. He helped and encouraged me a lot (Thank you very much, dear David!). I want to sincerely thank Alex Rogers, Expedition Leader, who never complained about me intruding and interrupting to ask him to check, improve and approve my texts before I posted them. Thanks a lot, Alex, for having me on board! Thank you also very much to all participants - technicians, crew and scientists - for your contributions. Through your work you have inspired me. It has been a pleasure meeting, working and sharing this expedition with you. In 1965, Jacques Cousteau built a house 100 meters below the surface of the sea. One of the six oceanauts who lived and worked in that house for one month recalls his first excursion on the seabed at such depths. "As soon as as I exit the sphere, I am struck by three things: hoses and cables replace the bubbles... the seabed replaces the surfaces... and night replaces day." I remember sitting in a college classroom and watching a slideshow of the first spaceship revealing its approach and landing on planet Venus (the Russian Venera mission http://en.wikipedia.org/wiki/Venera). I was amazed by each new image, progressively revealing the unseen surface of the planet. Although life might be present inside its thick cloud cover, the unveiled surface resembled a scorched potato. The Seamounts Expedition makes me feel this way. Like exploring a new world. Deep beneath the surface of our oceans, there are vast desert canyons and plains that the human eye has never seen. And in the immensities of space, the physical laws conspire to create an oasis for life, revealing astonishing shapes and colors to the robotic visitor. At the very same time it was discovering these oasis of life, the Seamount Expedition observed their blind destruction by humans. When will we realize the clemency of the physical conditions that keep us alive in this district of the universe? We are at the interface, between our frail atmosphere and the empty seas, on the shoreline between life and death in a seemingly desert solar system. Life is a chance, and as far as we know it only exists right here, on a planet we mistakingly call Earth when it is mostly covered in Water. We must care for it, or we will watch it trickle through our open hands. A visit to the engine room! First you entered the control room, a small space with a lot of screens. Communication with the bridge is done from here and the engineers can control the different machinery of each engine. Then with proper protection for your ears, you reach the place where the 4 engines of the ship are. Generally, two of them are running at the same time. It is hot and very noisy - not an easy place to work in - but clean! Each engine has 9 cylinders. Injectors and exhaust valves are quite impressive in size particularly compared to car engines. The ship tanks contain 800 cubic meters of diesel plus there is a dedicated low sulphur-diesel tank. The engines convert thermal energy from the combustion of the fuel to electricity which drives the two shafts to which the two propellers of the ship are attached. This is how the ship moves, but a lot of other things happen down here: the desalination of seawater to freshwater (for the showers and sinks), the treatment of sewage before its discharge in the sea, the cooling of the water used to cool the engines, the cleaning of the engine oil, … etc. Tonight we are going to have a presentation by David Shale of his best photographs of fauna taken during the cruise. David is the professional photographer on board (see blog post 11 Dec). Let me show you two stunning examples of David’s breathtaking work ... which will be a treat for us tonight! In the last six weeks, we have been exploring five seamounts of the South West Indian Ocean Ridge. The expedition took place on board the RRS James Cook (U.K. Natural Environment Research Council research vessel). 54 persons were on board made up of crew, scientists, and technicians. We found that the five seamounts are very different in terms of their size, their topography, their fauna and their diversity and abundance of marine life. Even the characteristics of their surrounding waters are different. We have witnessed evidence of human impacts on all of them. ‘Coral’ seamount was certainly the most preserved and richest in life. ‘Melville’ and ‘Midde-of-What’ were seamounts that show us two faces of these deep-sea habitats: one very rich, beautiful and with a diverse fauna, and the other quite devastated, with trawl marks and fishing gear on the bare seabed. ‘Sapmer’ was the seamount where we saw the fishing boat actively trawling. Most of the seabed has been damaged by trawling there, and we saw a lot of evidence of human activities on the seafloor, but inaccessible areas of the seamount still supported abundant life. On ‘Atlantis’ we saw a lot of urchins, and also giant coral trees. Some parts have been fished but the rocky seabed makes it more difficult for trawlers to work these areas. We saw patches of extremely rich fauna on rocks next to areas covered with debris and coral rubble. The top of the seamount, which is really flat, was mostly barren. We can now count ourselves among a privileged few that have seen live images of these incredible features 1,000m and more below the surface of the oceans in that cold, dark and silent realm. Amongst other wonders, we have seen beautiful and extremely elegant sea-spiders, 6-gilled sharks, big bamboo corals, bright pink shrimps, pencil urchins, snow white sea stars, escaping lobsters, coral gardens, tethered red jellyfish, purple coral with snake sea stars on it, angry looking crabs, fly-trap anemones, delicate glass sponges with their associated shrimp in couples, funny looking big eyes fish.… and the list goes on. Let us not forget the spectacular images of the hydrothermal vents and some bellowing black smoke from their tall chimneys – simply amazing (see blog post 27 Nov). We can summarise the activities that go on around the ship today in one single word: packing. In fact, that is not as simple as it seems. You have to make sure that every sample is in the right box correctly labelled and addressed to the right location. You also have to estimate the total volume and weight for freight purposes, indicate the chemicals used for preservation etc. As another research cruise will start just after ours, every space of the ship must be cleared and clean. We have to be careful while walking in the lab … as half-full boxes are appearing everywhere! Our last activity on ‘Atlantis’ bank area was to recover the second ‘whale bones and wood logs’ mooring. The first one was on ‘Coral’ seamount and we recovered it at the beginning of the cruise (see blog post 20 Nov). Both were deployed during the previous expedition in 2009. It will be very interesting to identify the life - especially worms and shellfish - which have settled on the bones and logs, and compare them with what we have found on the first mooring at the same depth, on a different seamount and in different waters. We were successful with the recovery of the second mooring and we can now start on our way back to land. Port Elizabeth (or P.E. for the locals) is at 1550 nautical miles from here (1785 miles / 2780 km). We should arrive in P.E. early on the 21. Everyone is looking forward to going back home and enjoying Christmas and New Year’s Eve with our family and friends. Today, while exploring ‘Atlantis’ bank seafloor, we saw two hermit crabs fighting! One of them attacked the other to try to get it out of its host shell. Hermit crabs are small marine crustaceans and are in fact anomura, not real crabs. They are soft-bodied and that is why they have to borrow a cast-off gastropod shell that they will carry, live in and that will protect them from predators. The first one was visibly not entirely satisfied with its own shell and wanted to steal the shell of the second. Or, maybe, they were just fighting for food (second theory circulating in the main lab) … Who knows! Around seamounts large fishes appear to be more abundant than elsewhere – one reason why fisheries tend to focus on these features. Currently it is poorly understood what mechanisms provide the food to these seamount-residents as the open ocean is a comparably food-poor environment. Phytoplankton are tiny plant-like creatures that dwell in sunlit surface waters across the world's oceans; small jellies and crustaceans graze on them and are in turn eaten by slightly bigger animals, for example inch-long hatchetfish or small squid. In fact, the risk of predation is so large near the surface that many midwater animals hide in the twilight zone many hundreds of meters below the waves during the day, and only come up to feed at night under the cover of darkness. As soon as the sun comes up they disappear into the inky deep again. This daily vertical migration is one of the defining characteristics of midwater life, and might be the largest animal migration on earth both in numbers and in terms of biomass. As the sun comes up, midwater animals migrate into deep water. Green indicates dense aggregations of animals, white indicates their absence. Hiding in the deep darkness might seem a good idea when predators lurk at the surface. Around seamounts, however, the downward migration comes with added danger. Having drifted over the summit of a seamount, the midwater animals become trapped on the mountain top when they descend around sunrise. Seamount resident predators like rockfish or alfonsino are only too happy to turn these trapped animals into breakfast. Exactly how much biomass is transferred from the midwater into the stomachs of seamount fish is unknown, and in my PhD research I am trying to gain a better understanding of this process. 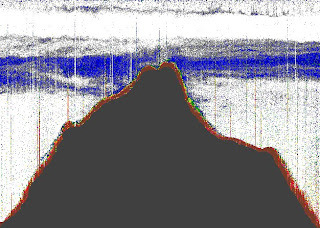 Earlier in the blog you heard about how Lily is using sound to map the seafloor (Nov. 16th), and essentially I am using the same principle to map the distribution of midwater animals around seamounts. The difference is that the echoes from fish and invertebrates are very faint and thus much more difficult to detect. Also, inferring the type and size of animal from the echo trace is not always possible, as not all animals are equally good reflectors of sound. For example, the gas-filled swimbladder of a small fish might return a much stronger echo than the watery body of a large squid or even a jellyfish (see Clare's blog on Nov. 14th). Nonetheless, even without knowing exactly which species I am observing, I have already learned a lot about the interactions between midwater animals and seamounts. We are lucky to have a professional independent photographer on board. His name is David Shale. He was a scientist previously - he has a PhD in oceanography - and decided then to concentrate on deep-sea photography. He has participated in 14 cruises as a photographer since 2006 on board U.S., Norwegian, and U.K. research vessels among others. He was involved in the MarECO project between 2006 and 2010 which was part of the Census of Marine Life 10-year effort. Before that he worked for the BBC Blue Planet television programme. Not only is he taking beautiful photographs of animals that we sampled for media and public outreach purposes but his photos will help the scientists to recognise, identify the sample and keep an image of the animal before the preservation process. one of these sponges as a symbol of longevity of marriage. Finally, David may appear as the perfect gentleman but ... be careful, do not leave your chocolate biscuit unattended in the main lab! There are a lot of superstitions on board a ship ... and I guess they all come from times when safety at sea was not as good as nowadays and seamen really were risking their life. First of all, and maybe the most well-known, is bringing a woman on board a ship brings you bad luck (which is obviously totally unfair). 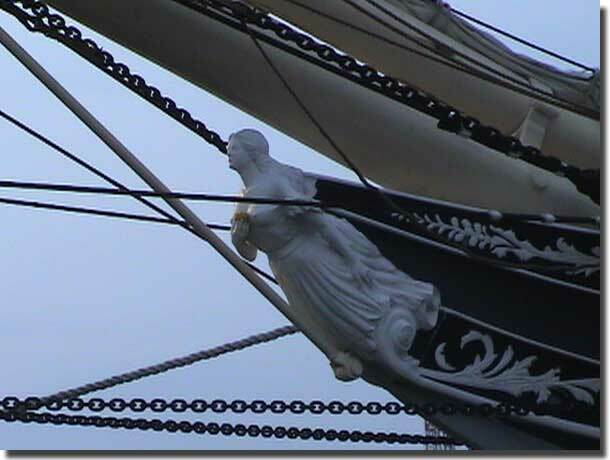 In fact women onboard a ship were supposed to distract the crew and place it in peril. - You are not supposed to say the word ‘Rabbit’ ... it is a word that brings bad luck. - Throwing stones overboard is bad luck (because it causes ripples, which causes waves and brings storms). - Having flowers on board is bad luck as well because flowers are used for funerals. - Losing a hat overboard signified a long trip. 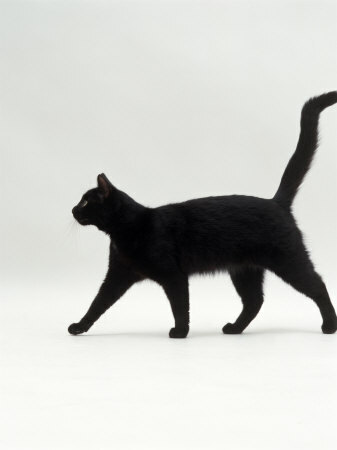 - Black cat is considered good luck on board a ship (because cats don’t like water so they want to return to port as soon as possible). - Black travel bags are considered bad luck as well. For some reason. - Don’t whistle as this would cause a storm at sea. (We say ‘whistling up the wind’ and it also may come from the times when ships were using steam .. a leak in high pressure will make a whistle). - Ship’s bell should never ring itself. It is an omen of death. - In old times, drinking wine on the deck was considered to bring you bad luck because it is an insult to the gods. - Killing an albatross or a seabird is supposed to bring you bad luck because they are thought to carry the souls of dead sailors. - A naked woman is supposed to calm the sea (that is why most of the time figureheads are naked women). A good indicator that we are moving northward is that there are fewer and fewer albatrosses around the ship. We have probably left their favourite distribution range as we have reached the subtropical waters (seawater temperature at surface is 20°C today!). Albatrosses are among the largest flying birds. The Wandering Albatross has the longest wingspan of any birds (almost 3 m!). They are highly efficient in the air and cover great distances with no effort. Most albatrosses range in the southern hemisphere from Antarctica to Australia, South Africa and South America. They feed on fish, squid and krill mainly. A large majority of albatross species are recognised as threatened on the IUCN Red List. One of the main threats is commercial long-line fishing; the albatrosses are attracted by the bait and become hooked on the lines and drown. Institutions and conservation organisations are working in cooperation with the fishing industry to try to reduce this bycatch. I realise we haven’t met yet with Alex! Alex is the Chief Scientist of the expedition. He is Professor of Conservation Biology at the University of Oxford and works in the zoology department. He is the founder of the International Programme on the State of the Ocean (see links) and he is involved in many deep-sea conservation projects in close cooperation with different U.N. bodies. He has participated in many cruises in the past. This is his third one as a chief scientist. There is a lot of pressure in organising all of the scientific work of the research cruise. He has to make quick decisions on what instrument has to be deployed, taking into account the weather forecasts and the sometimes competing interests of different scientists. He has to make sure that the scientific work is done efficiently and properly and that we make the most of our allocated ship time. He is also the link between the science party and the crew on board and confers with the master several times per day. We cannot talk about Alex without citing Michelle and Philipp. Michelle is a post doctoral fellow and Philipp is doing his PhD thesis at the University of Oxford under the supervision of Alex. They have been working together for several years and I think that the three of them form a great team! Organising such a cruise requires an amazing amount of work and I am not lying by saying that Alex could not have done that without Michelle and Philipp. Have you ever wandered across a beach or shore, picking up seashells for admiration as you went? Well, that’s how my interests in Mollusca, the second largest phylum of the entire animal kingdom (containing seashells, octopuses, squids, etc. ), began. Although I am interested in all groups within Mollusca, my primary interest lies in the class Gastropoda (coiled univalves or “snails”). 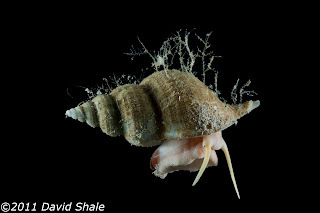 The more I learnt about gastropods, the more I am intrigued by them. At first, it was the amazing shapes of Sthenorytis pernobilis (noble wentletrap) and the fantastic patterns / colours of Conus gloriamaris (glory-of-the-sea cone). Then, it was the great diversity of ecological roles and adaptations shown by gastropods – some examples are the parasitic ovulids living under coral polyps, the tremendous dispersal ability of the wandering triton, Ranella olearium, and the iron-plated armour of the scaly-foot gastropod. My unstoppable fascination for gastropods led me to start an academic career to find out more about them, and to this expedition. 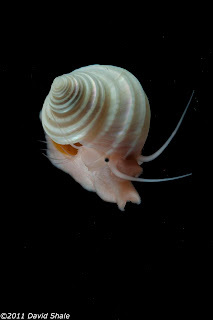 Gastropods are often an important group in deep-sea ecosystems, such as the extremely widespread predators Buccinus sp. and Fusitriton sp. ; and various types of snails (e.g., Alviniconcha sp.) found in very high densities in hydrothermal vents. It is truly exciting to find out what roles they play on the Southwest Indian Ridge. Through this expedition, I am hoping to find answers to some questions I have in mind regarding gastropods (and molluscs general) in these seamounts, such as: What species are living on these seamounts? Are they endemic (specific to that region of the world)? What factors influence their distribution? What habitats do different species prefer? How are the populations on different seamounts linked? …. And many others! I have seen some motivating hints to answering these questions in the past month, and the hydrothermal vents expedition has also been more than enthralling. I hope the rest of this cruise continues to be exciting and thrilling, and I am already looking forward to work on the materials collected when I get back to Oxford! probably associated with live corals.